Made from premium 7 ounce, single bend leather. 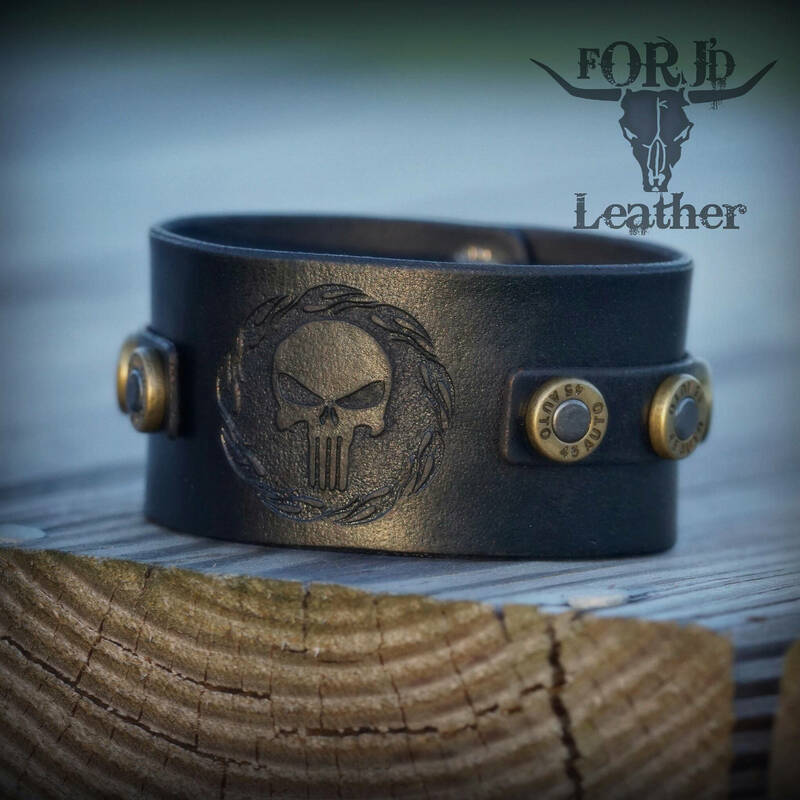 Riveted with .45 brass conchos and center engraved with the Punisher skull surrounded by a ring of fire. Approx. 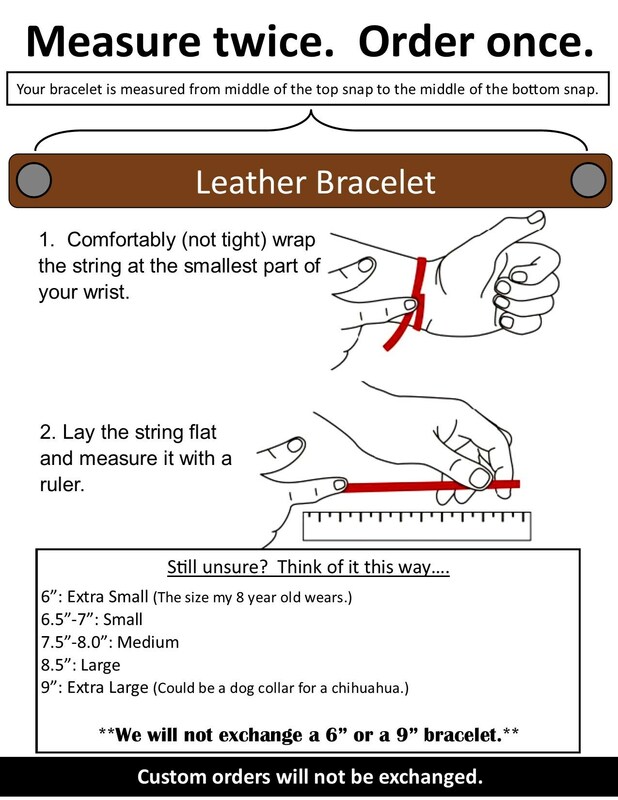 1.75 inches wide. Hand dyed, tooled, oiled, and finished in house. Our products are American made and carefully inspected before leaving our shop.